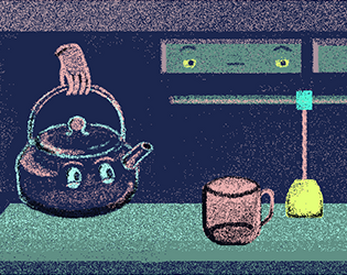 We made a little game about cups of tea. And floating hands. And googly eyed kettles.